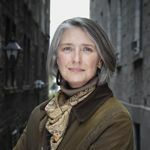 Bestselling author Louise Penny, the first Canadian to receive the award, is the winner of the Pinckley Prize for Distinguished Body of Work; her appearance in New Orleans is part of her national tour for a new novel. She is the author of 13 novels in the Armand Gamache series. 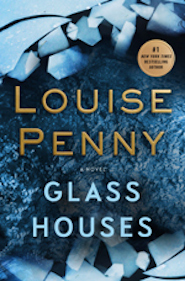 The latest, Glass Houses, will be published August 29th. Bestselling author Sara Paretsky is the winner of the Pinckley Prize for Distinguished Body of Work. The author of 24 books, many featuring her signature character V.I. Warshawski, Paretsky founded Sisters In Crime, a worldwide organization to support women crime writers. 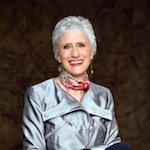 Paretsky also has a storied career as a passionate advocate for social justice and literacy. Her memoir of political dissent is titled, Writing In the Age of Silence. 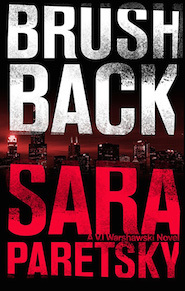 Sara received the 2015 Paul Engle Prize, recognizing both her body of work and her work for social justice, The Washington Post named Brush Back, Sara’s most recent novel, one of 2015’s top five thrillers. As a debut novelist,” said Carbo, “I am humbled and overwhelmed to win the Pinckley Award. Receiving it is a gratifying affirmation that my attempt to shine some light on the ineffable relationship between man and nature has worked on some level. Perhaps, with this award, the spectacular, revered and endangered grizzly bear will become a little more understood. It is truly an honor to have my work associated with the remarkable Diana Pinckley and the Women’s National Book Association of New Orleans." 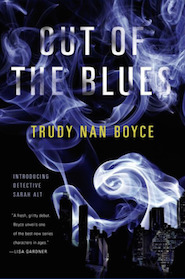 Nevada Barr and Adrianne Harun were the recipients of the 2015 Pinckley Prizes for Crime Fiction, named to honor the memory of Diana Pinckley, longtime crime fiction columnist for The New Orleans Times-Picayune. The prizes were presented March 26, 2015, at the 29th annual Tennessee Williams/New Orleans Literary Festival at the historic Beauregard-Keyes House. 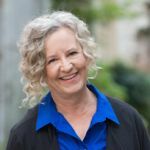 Bestselling author and New Orleanian Nevada Barr was the winner of the Pinckley Prize for a Distinguished Body of Work. 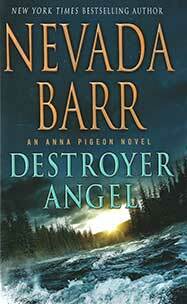 The author of 22 books, many featuring her signature character, Anna Pigeon, Barr is the author of the current New York Times bestseller, Destroyer Angel. 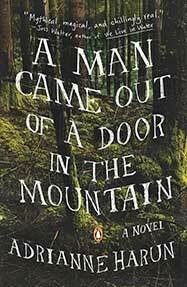 Harun said, “Having A Man Came Out of a Door in the Mountain acknowledged with this particular award is an astonishing and deeply gratifying boon. I’m especially thrilled that the subject of this novel may receive more attention as a result and chalk that good fortune up to the enduring goodness and activism of Diana Pinckley herself. What an honor it is to have my work associated with her name and with the Women’s National Book Association of New Orleans." Laura Lippman and Gwen Florio were the recipients of the inaugural Pinckley Prizes for Crime Fiction, named to honor the memory of Diana Pinckley, longtime crime fiction columnist for The New Orleans Times-Picayune. The prizes were presented March 22, 2014, at the 28th annual Tennessee Williams/New Orleans Literary Festival at the historic Beauregard-Keyes House. 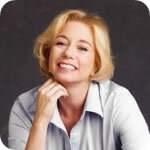 Bestselling author and part-time New Orleanian Laura Lippman was the winner of the first Pinckley Prize for a Distinguished Body of Work. 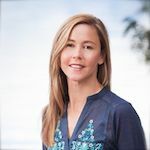 The author of 19 books, many featuring her signature character, Baltimore detective Tess Monaghan, Lippman is the author of the current New York Times bestseller, After I’m Gone, published by William Morrow. Lippman, said, “Of course I'm gratified to receive this award, but it is especially meaningful to me as I had the great luck to meet Diana, socially and professionally. I know we like to think that our culture, our society has moved beyond a point where we need prizes that are for certain genres or genders. But we haven't. And to have a prize that recognizes one's body of work, and to have that prize be part of Tennessee Williams Festival in New Orleans, a city that truly embraces reading -- I am overwhelmed at the honor of being the recipient. I love my second hometown." 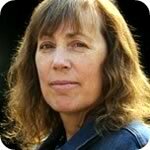 Montana resident Gwen Florio won the Pinckley Prize for a Debut Novel, for her first book, Montana, published by Permanent Press. “Out of a field of excellent debut crime novels, we picked Montana because we completely fell in love with the main character. It’s often difficult to pinpoint why someone is lovable. 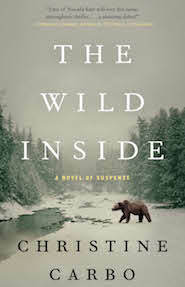 Suffice to say that Gwen Florio’s protagonist Lola fully lives on the page, and what is even more compelling about this brave, irascible character is that she continues to live after the book is closed. She's fearless, flawed, intelligent, reckless, and funny, but most of all, she is defined by loyalty to her friend and a relentless pursuit of her killer." Florio said, “"As a recovering journalist, I’m honored and humbled that my novel featuring an investigative reporter has received this inaugural award named for a newspaper columnist – and that I share the award with another former journalist. It’s especially meaningful to receive it in this city long known for treasuring journalism, particularly in these difficult times."